Husserl and Other Phenomenologists addresses a fundamental question: what is it in the thinking of the founding father of phenomenology, Edmund Husserl (1859-1938), that on the one hand enables the huge variety in the phenomenological discourse and, at the same time, necessitates relying on his phenomenology as a point of departure and an object before which philosophizing is conducted. 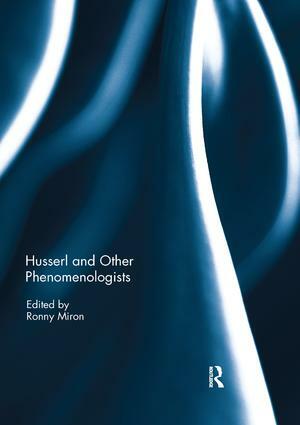 The contributors to this volume, each with his or her own focus on a specific figure in the phenomenological school vis-à-vis Husserl's thinking, demonstrate that every reference to Husserl is necessarily bound up with modifying his ideas and crossing the boundaries of his phenomenology. In this sense, and given the insight that Husserlian phenomenology is already imbued with the potential modifications and revisions, the post-Husserlian phenomenologies may be included together with Husserl in one so-called ‘Phenomenological Movement’. The discussions in the book open for philosophers and intellectuals a window upon phenomenology, which has been one of the richest and most influential cultural phenomena since its very appearance at the beginning of the twentieth century. The book also conveys the complex interpretive dynamic within which a given framework of ideas becomes a sort of magnetic field, with attracting and repelling forces acting on its participants, and thanks to which the great ideas of modernity maintain their vitality and relevance a hundred years after their first appearance. This book was originally published as a special issue of The European Legacy. Ronny Miron is Professor of Philosophy at Bar Ilan University, Israel. Her research is focused on post-Kantian idealism, existentialism, phenomenology, and hermeneutics, as well as with current Jewish thought. She employs an interdisciplinary perspective combining the aforementioned philosophical traditions. She is the author of Karl Jaspers: From Selfhood to Being (2012), The Desire for Metaphysics: Selected Papers on Karl Jaspers (2014);and The Angel of Jewish History: The image of the Jewish Past in Twentieth Century (2014).